CANTON,Ohio- What an unbelievable game it was between Michigan and Ohio State. It was definitely one of my top 3 games of of all time. First time ever that “The Game” went into overtime as well. I know a lot of Michigan fans were extremely upset at the ref’s and the spot of the ball on J.T. Barrett’s 4 and 1 run. I did go back and look at it. He did get the first down. Not by much, but he did. As far as the officials go, I didn’t see what all the Michigan fans were upset about. Did they have a few calls not go their way? Yes, but as I pointed out to a few close friends of mine that are die-hard Wolverine fans, you can’t fumble the ball on the 1 yard line and throw two interceptions inside your own territory and expect to win. Especially when Ohio State’s defense was starting to play better and the offensive line for the Buckeyes was finally starting to hold it’s own late in the game. All of those friends of mine agreed with me. With all that being said, Michigan out-played the Buckeyes most of the game, but the most costly turnover, for me, happened with the fumble on the Ohio State 1 yard line. If that fumble doesn’t happen, I think the outcome of the game is different. Now this is where it gets fun. I know there are a lot of Ohio State fans that think Michigan should be eliminated from playoff contention. I couldn’t disagree with you more. The fact that this game went to two overtime periods, I think, says it all. Michigan is a playoff caliber team. I’d love to see them play Alabama or Clemson. I think the game would be one of the best games of the year. I’ve had a chance to watch Washington and I wasn’t impressed. USC, is the best team in the Pac 12. They even went on the road and beat Washington convincingly in my eyes. I realize that winning your conference title game is important to the playoff committee, but how much weight does that really hold? If Washington beats Colorado for the Pac 12 title, I’m sure they expect to be awarded either the third or fourth seed in the playoff bracket. The winner of the ACC title game between Virginia Tech and Clemson will also have an effect on that. If Virginia Tech wins, which I don’t see happening, I don’t see Virginia Tech in the playoff. If Clemson wins, they’ll get the #3 seed. This brings me to the Big Ten title game between Wisconsin versus Penn State. For the first time in a long time, the Big Ten is the best conference in college football. It was not the SEC. With that being said. If Washington wins the Pac 12, do you put them in over Wisconsin or Penn State? Again, the Pac 12 wasn’t a great conference. Would the committee select a two loss Wisconsin team in the playoff if they win the Big Ten championship over a one loss Washington team if they win the Pac 12? What if Penn State stays hot and wins their 9th win in a row and wins the Big Ten? Do you put them in the playoffs with just one loss over Washington if they win the Pac 12? I will say this. All this talk surrounding the college football playoffs is exactly what college football wants. There’s no question that the college football regular season is the best regular season out there. Every game is so important. For the past several years, the SEC has no doubt been the best conference in college football. They’ve seemingly always had 3 or 4 teams in the top 10 and they owned the BCS era. But suddenly, it looks like that’s maybe starting to change. With Alabama hogging all the 4 and 5 star recruits, none of the usual SEC power houses are what they used to be. Florida isn’t the Florida of old, LSU started out with high expectations then lost unexpectedly on the road to Big Ten power house Wisconsin. Tennessee, Georgia, Auburn and Texas A&M all fell off as the road narrowed. Meanwhile, Ohio State remained strong. Michigan is back to the Michigan we have come to expect. Wisconsin is a strong team. Penn State finally figured out what they needed to do to have a successful offense to compliment their good defense. Nebraska regained their form. Even Iowa, Indiana and Minnesota were better than usual. What Big Ten fans need to do is support their main team whether it be Ohio State, Michigan, Penn St, Indiana, Iowa and so on. But when it comes to bowl games, I support the Big Ten teams. Yes, I even hope the Wolverines beat their opponent. Because having a strong overall conference is so important come playoff time. Not to mention Big Ten fans having bragging rights over other conferences. Don’t you get tired of hearing SEC fans claiming that their conference is the best, hands down? Let’s go even further. It’s no surprise that the young high school athletes want to play for coaches that they consider “Cool”. There is a rumor that former LSU head coach Les Miles is eyeing the Purdue Boilermakers head coaching position. That would be a big hire for a university that has struggled to win games over the past few years. It would certainly give their recruiting a boost. At the end of the day, I want, not only Ohio State to be great. I want the Big Ten to be the best conference in college football and I want more of the top recruits to come to Big Ten schools. 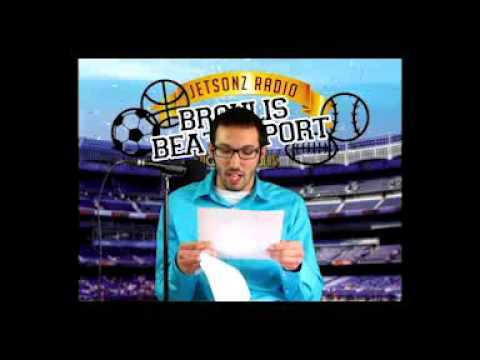 I talk about the NCAA, the Cavs and much more!